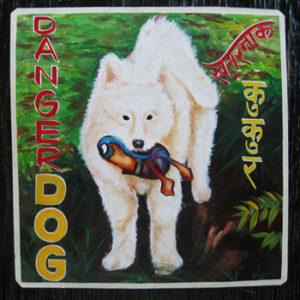 Nanuk is hand painted on metal by Dilip Niroj. 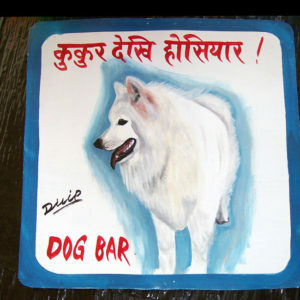 This portrait of Williwa the Samoyed is by Dilip Niroj. 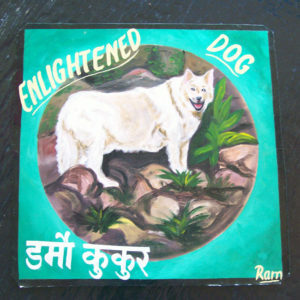 This hand painted portrait of Nanuq the Samoyed is by Ram Krishna. 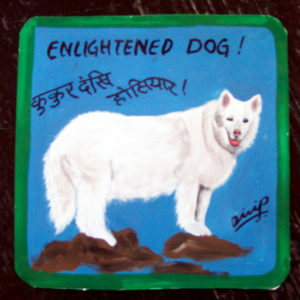 This bright and off beat folk art portrait of Tulle the Samoyed was hand painted on metal by Sagar Bitsa. This happy portrait of a Samoyed with her favorite toy is a winner. This is a portrait for those who love the more naive portraits. 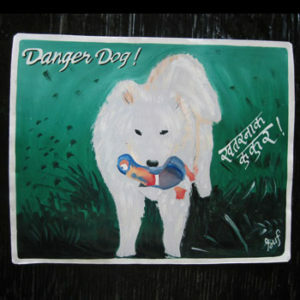 Suf has done a classic Danger Dog portrait of a Samoyed named Tulle.